I wouldn’t have what you call a ‘typical’ post-graduate job. 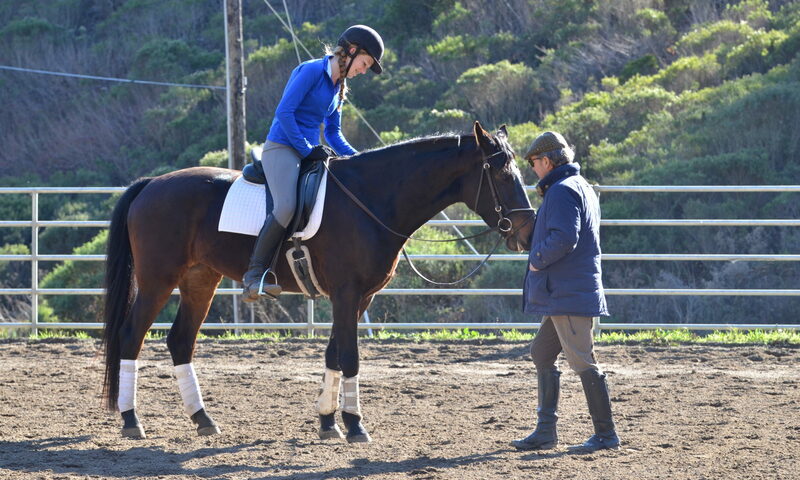 I say to people that I am a riding instructor and then explain the kind of program Square Peg is, but I can never really do it justice by only using words. My first time to the ranch I got lost. I drove halfway to the landfill, realized my mistake, and had to re-read the directions Rachel emailed me earlier in the week. When I finally did get there I walked up the hill and entered a hectic Saturday morning. 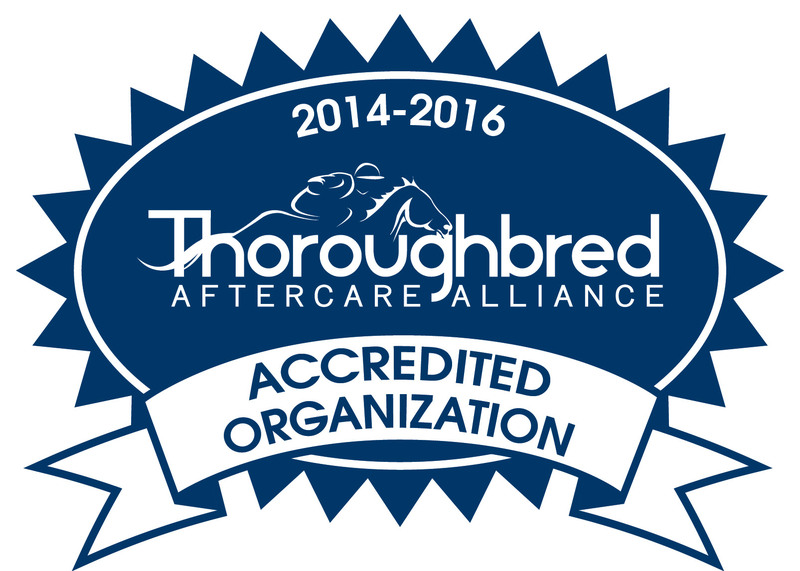 The program was being filmed for America’s Best Horseracing network. So I decided to stay out of the way; I picked up a manure fork and got to work, chatting with the teenage volunteers while mucking stalls and meeting the horses. I realized this place is different and very special. The kids are valued; their thoughts, comments, and needs are heard, considered and responded to. The horses have their own colorful and vibrant personalities because they’re given the physical and emotional space to bloom and flourish. And parents comfortably trade stories, support, and laughter together without a competitive comparisons of their kids. It is unlike any barn I have ever experienced. There has not been a “typical week” since… And I started 5 months ago. The schedule and the routine are always in constant flux, but the feeling I had the first day is still the same. I am in awe of the scenic beauty I am surrounded by, as well as the joy that emanates from each person when they jump out of their car and walk, run, or wheel into the barn aisle offering goodies, giggles, and pats to each horse they pass. 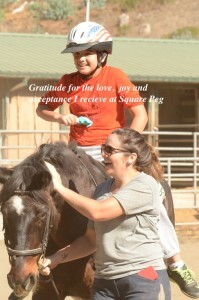 Square Peg is more than just a ranch, it’s a paradise– a haven–a comfort and also often a challenge. It’s a place that Joell, Rachel, Beany, Tucker, Patty, Carter, Panzur, Ace, Roxie, Curtis, Gigi, the nosey coyote, scampering rabbits, and that one hawk, have breathed acceptance, character, life, love and soul into. 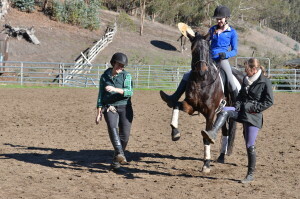 So when people ask me what I do now that I have graduated college, I just say, “I get to work at this amazing barn and we rescue off-the-track racehorses and serve kids on the spectrum.” People nod and exclaim what a wonderful thing it is that we do. 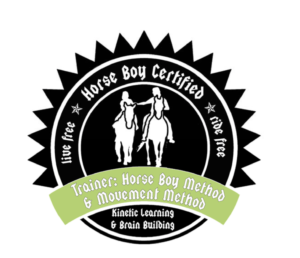 While I don’t disagree, I think that in reality the families and kids I have the opportunity to serve, along with the horses I am able to work with, are cultivating me and shaping me into a more honest, caring and joyful person. Everyone I have met here has added such value to my life and I could not be more grateful. 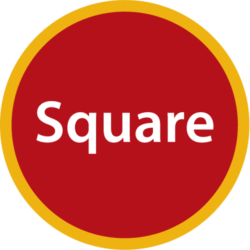 Square Peg is not just a barn, it is…. more.